Consultation counts. At the GAULHOFER World of Discovery at the plant location in Übelbach, Austria, star designer Stuart A.Veech has created optimal conditions and the perfect atmosphere for a consultation. His peaceful "window-less" window showroom allows you to focus on your own ideas and wishes directly on site. 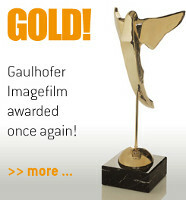 The new GAULHOFER showroom concept will be adapted by several flagship stores in 2011. If you would like to learn more about production at GAULHOFER, which was awarded the "Best of Styria" prize, you can see for yourself how our windows are manufactured by visiting the World of Discovery: Economy, in Übelbach. 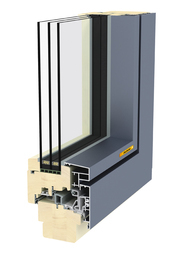 Discover what makes our windows and doors genuinely GAULHOFER! GAULHOFER has transformed the qualities of wood to a new dimension. 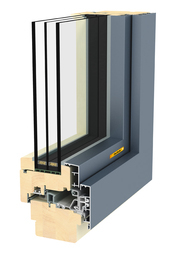 GAULHOFER's NATURELINE incorporates superior window technology and is made from 100% natural materials: a fusion of GAULHOFER's best strate- gies for the creation of a cozy warm atmosphere and ecologically-exemplary energy saving solutions. Overall respective depths of 92 mm and 78 mm in the high-end and standard versions provide lasting U W values, not achieved until now. Our technologically innovative use of wood provides the best possible structural physical properties. Completely eliminating the use of PUR foams is not only an ecological plus, it also brings unbeatable advantages in terms of humidity diffusion. GAULHOFER's NATURELINE unites the advantages of state-of-the-art innovation with over 90 years of experience in the manufacture of top-quality windows. GAULHOFER NATURELINE is 100 % nature. Through innovative product development, it achieves a standard UW value of 0.8 W/m2K (without the use of ecologically problematic PUR foams). The best UW value of 0.67 W/m2K is simply revolutionary. 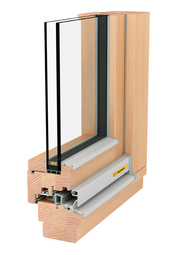 The standard GAULHOFER Thermostop with thermally optimized glass-spacer: Prevents condensation build-up on the glass. The special sealing of the glass borders with the GAULHOFER Dampfstop keeps moisture away from the glass fold: The sash wood stays beautiful. 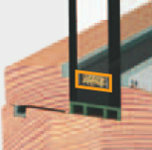 The GAULHOFER Audiostop keeps out noise, wind and rain with 3 circumferential gaskets; the formation of condensation is prevented. The manually smoothened wet sealing with the UV-resistant Gaulhofer silicone keeps the glass joint tightly sealed. 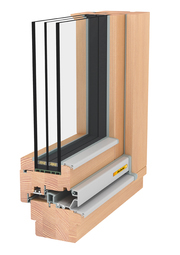 With NATURELINE 78, GAULHOFER brings a wooden window to the market, which even though an entry- level model, delivers all the benefits of GAULHOFER product quality. 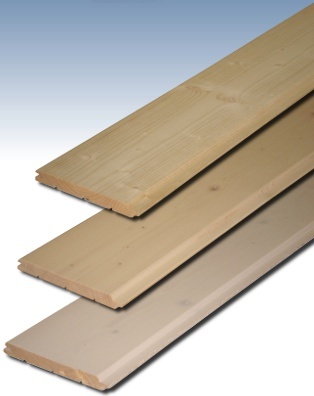 78 mm overall depth and 100% wood enable the very best structural physical properties and outstanding UW values from 1.2 to 0.7 W/m2K. FUSIONLINE: WOOD AND ALUMINUM UNITED FOREVER. A noble combination of wood and aluminum, offers the best possible protection from the outside elements and a naturally cozy atmosphere indoors. GAULHOFER FUSIONLINE with overall depths of 108 mm in the high-end and 94mm in the standard version fully capture the advantages of advanced product development: The improved structural physical properties and optimum UW values of these new products ensure that everything that is promised is delivered throughout the window's entire lifetime. GAULHOFER also uses only natural materials for its wood- aluminum products to allow complete recycling solutions. 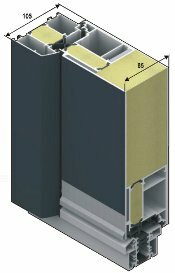 Thermally optimized glass-spacer, GAULHOFER THERMOSTOP (standard) or GAULHOFER THERMOSTOP PLUS prevent condensation formation on the glass. 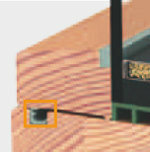 The special sealing of the glass bead with the GAULHOFER DAMPFSTOP keeps moisture away from the glass fold. The finished glass stays dry and the frame wood stays beautiful. Hand smoothed wet-sealing with UV- resistant GAULHOFER silicone keeps the glass joint tightly sealed. GAULHOFER AUDIOSTOP keeps out noise, wind, and rain with 3 continous allround fitted seals and prevents condensation formation. 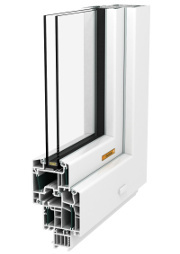 FUSIONLINE 94 maintains the high quality of its big sister: a 94 mm overall depth ensures a wood-aluminum window that leaves no wish unfulfilled. The outstanding UW values (standard: 1.2 and best value: 0.7 W/m2K) speak for themselves. 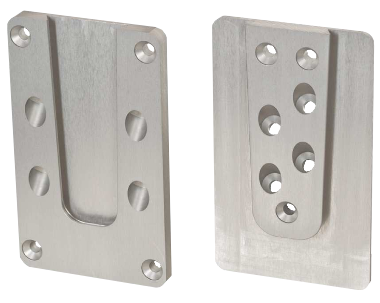 SOFT and PLANE design versions with aluminum cladding are also available. 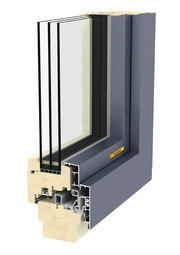 The classic GAULHOFER Softline aesthetics have been given a gentle facelift for this window. FUSIONLINE 94 SOFT will achieve your expectations with its calm design. The semi-overlapped aluminum cladding has no sharp corners or edges and features clear lines. The plane aluminum cladding of FUSIONLINE 94 PLANE is a clear endorsement of clear form. The frame and sash cladding are in plane with each other, giving this wood-aluminum win- dow a totally straightforward external look: simple and plane! Being the "best energy saver", the new ENERGYLINE again sets new standards and represents the best possible choice not only for low-energy houses and passive houses. 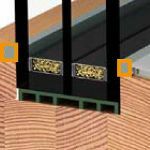 The highly stable profile with PowerDur glass fibre reinforcement does not need a steel reinforcement so that formation of a thermal bridge is prevented, correspondingly enabling a UW top value of 0.59 W/m2K (ENERGYLINE PLUS). The subtle redesign offers an elegant design, significantly slimmed appearance and larger glass surfaces also with two-wing elements. Technical innovation combined with timeless design this is the new Gaulhofer ENERGYLINE! A slim window for a lean budget. ENERGY LINE 70 is a high quality energy saver with excellent thermal insulation. Also here, GAULHOFER replaces the conventional steel reinforcement with the innovative glass fiber reinforced plastic panel POWERDUR®. This is how first-class thermal insulating values can be achieved even with a depth of 70 mm. ENERGYLINE 70 is available in white. 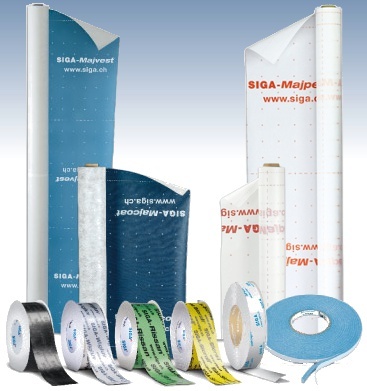 Weather resistant circumferential silicone-based seals with an additional adhesive on the outer glass perimeter create an additional barrier against external moisture. The homogeneous and highly loadbearing PowerBond bonding of the glass and the sash frame ensures that the wing always maintains its structurally defined shape. Thanks to the new and force-fit connection at the edge it is both dimensionally stable and distortion-resistant to a high extent even if compared to other bonded systems. This solution also offers several benefits for maintenance. 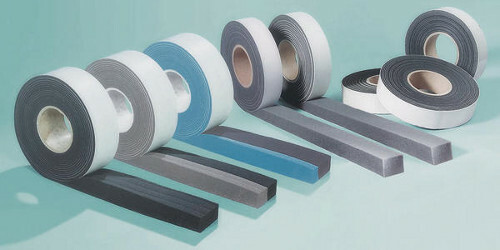 The bonding additionally optimises heat insulation. The elaborate inside glazing ensures a warm edge. 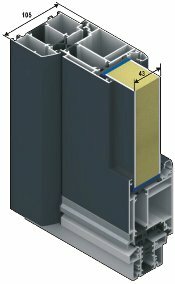 Thermally optimised glass spacers such as the standard Thermostop or the optionally available Thermostop Plus improve the heat insulation of the glass edge and counteract the annoying formation of condensate on the glass. POWERDUR. STRONG WITHOUT STEEL! NO MORE THERMAL BRIDGES. The PowerDur innovation, a highly stable glass fibre reinforcement, replaces the thermally disadvantageous steel reinforcement. 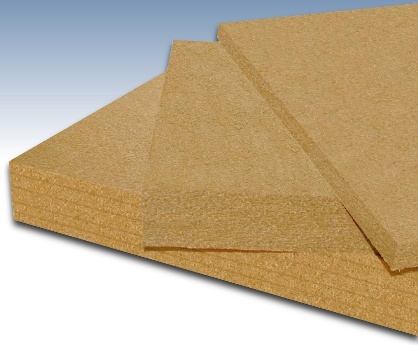 It prevents thermal bridges and correspondingly ensures significantly improved insulation properties, increased living comfort and less heating costs. 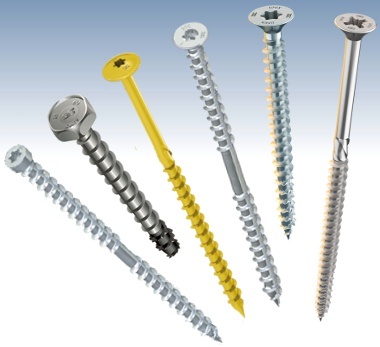 Contrary to customary steel reinforcements, the surrounding PowerDur stabiliser enables optimal screw connection at any fixation point. 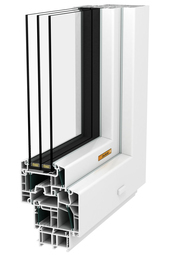 Slimmer, lighter, more beautiful the new ENERGYLINE profiles. They do not use steel by standard so that they offer even improved insulation properties and UW values suitable for passive houses depending on the desired glazing version, ranging from UW 1.2 to UW 0.64 W/m2K. The wings are bonded to the glass all round so that they become highly distortion- resistant. 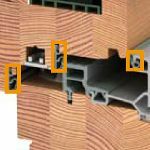 The new reinforcement technology enables even improved insulation measures: With ENERGYLINE PLUS the plastic profiles can be filled with highly heat-insulating foam up to the corners. 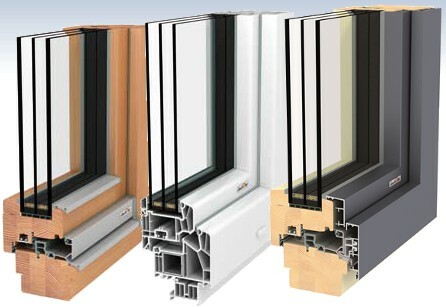 This provides superior insulation pro- perties to these plastics and plastics- aluminum windows. The UW top value of 0.59 W/m2K is unbeatable. A window for all persons who think about tomorrow already today. 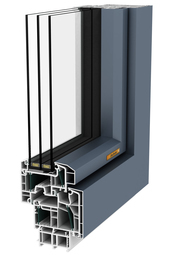 Perfect windows with perfect protection: The new and slim uPVC- aluminum ENERGYLINE is now available in all GAULHOFER aluminum shell designs (PURE, SOFT and PLANE) and with all colours of the whole GAULHOFER aluminum colour range. 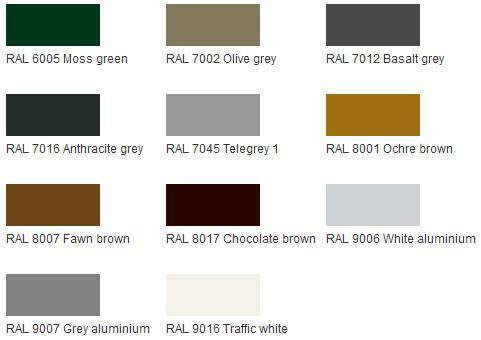 Besides the highly weather-resistant quality of the GAULHOFER aluminum product range, this also offers an almost unlimited selection of possible designs. 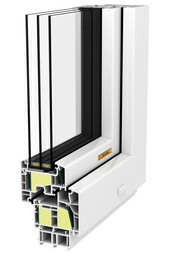 The uPVC/aluminum ENERGYLINE 76 window is an all-rounder and comes in all colours. 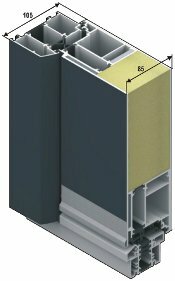 ENERGYLINE 76 is available with the extruded aluminum cladding in the popular GAULHOFER PURE design. 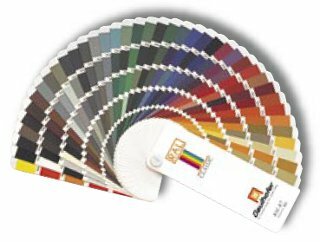 The comprehensive range of attractive aluminum colours offers a wide range of design options. The flush-mount aluminum cladding of ENERGYLINE 91 PLANE is a clear statement for clear shapes. The stepless aluminum cladding provides a maximum of straightness to the exterior of this window just plain! Clear contours for puristic lines. 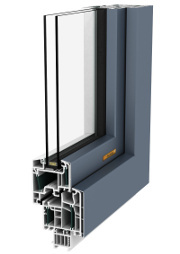 The GAULHOFER aluminum design PURE converts the uPVC window into a straight profile with catchy lines. ENERGYLINE 91 SOFT convinces by the relaxed flow of its design. The classic beveled aluminum cladding goes without sharp corners and edges, and still shows a clear line. ▶ 200 optional colours also available! ▶ Optional colours also available! A clear welcome is what the doors by GAULHOFER say to you. Purist design and reserved elegance invite people to step inside, while the standard safety systems deal with uninvited guests. So that you come home safely with a pleasure. Gaulhofer entrance doors are powder-coated to any desired colour. 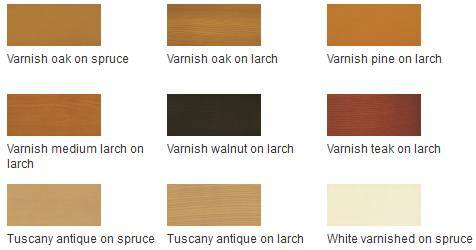 Metalic coatings and wood decors are also available.